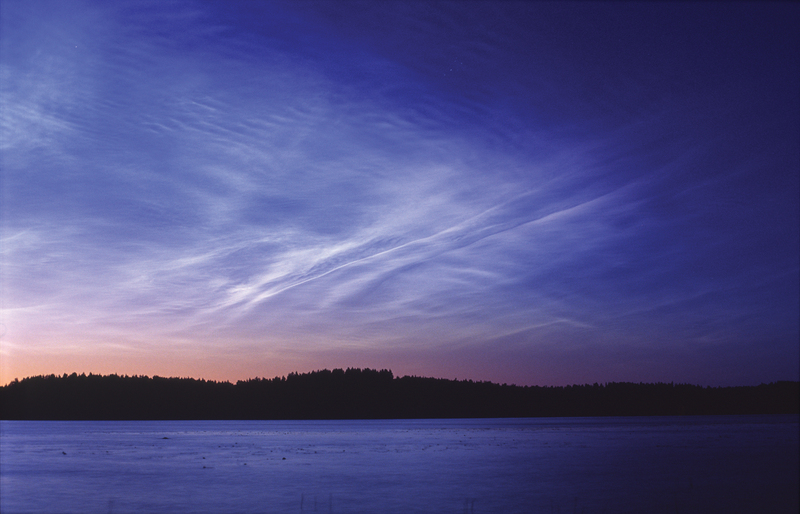 Rave of the day are the images of noctilucent clouds that were referred to on the BBC News website today. I chose one as my new desktop wallpaper and its looks pretty neat. I never get tired of just looking at nature. Rant of the day is really rant of the last few days (well, just one of them if the truth be told – I really am getting to be a grumpy old git). From rumours I’ve heard it seems the government is doing its best to destroy the University system in the UK by making it difficult for overseas students to come here. Now, no doubt they will say that it has something to do with Homeland Security but if so are they over-reacting, has the knee jerked a bit too far? Will we partly secure ourselves from a limited threat whilst at the same time undermining the nation’s place in the World. Unconditional offers can only be made after exam results are known so this means visa applications can only start then. ... so, the Immigration officials will have to process pretty much all the students in an 8 week period just when they are all taking holidays – Brilliiant! Fingerprinting can only take place in a very limited number of places – fine if you live in Singapore but crap if you live in China where students may need to travel hundreds of miles to get a print before completing their application and probably finding that the queues stretch to … Singapore. Back to my original point…Due to chronic underfunding, the University system here in the UK depends on the income generated by overseas students. China is far and away the biggest source of these students. We really have a problem with ‘anti-social’ behaviour from China don’t we? We can really do without them can’t we? Can we? We really don’t need a healthy higher education system (where will provide all these teachers Masters courses that Ed Speaks Balls – his Lakota Sioux name- is on about? China perhaps – ooops thats another rant). Oh well, here’s sock of the day. Its Balls Ed but not as we know it. Estimates for the number of Chinese students coming to the UK each year vary, but this estimate from 2 years ago puts the number at 50,000. That means fingerprinting around 40 per day at each of the 5 centres, which is doable, but only if demand is evenly spread between the centres and over the course of the year, which of course it isn’t. Like you, I predict problems.